At Wargaming, we strive to deliver a gaming experience that is both fun and authentic. Himmelsdorf is one map that we built with that in mind. Traversable routes in World of Tanks lead players through picturesque valleys, provinces, abandoned cities, industrial areas, water areas, fjords, and deserts. Although all maps in the game are fictional locations, they are based on real places on Earth. In this article, we offer you a chance to gain an insight as to what inspired the misty map of Himmelsdorf. On the map below are blinking points marked by pins. If you hover your mouse cursor over these pins, slides will appear. To compare the real-world and in-game images, hover your cursor over the slider in between the two pictures, and move the bar from side to side while holding down LMB (left mouse button). Each slide is accompanied with a short summary and exact coordinates of the location displayed. Himmelsdorf is a city that never existed until the need arose for an urban map in World of Tanks. As a result, the map was created during the beta testing stage. The developers faced a monumental task: they had to recreate the atmosphere of a city ruined by heavy urban armoured warfare. The inspiration for the collective image of an old destroyed German city came from personal journeys of level artists. Photos from personal vacations and business trips to locations such as Prague, Cologne, Lviv, and Warsaw served as reference. Himmelsdorf holds the record for the largest number of birds on a World of Tanks map, with 29 birds circling above the city. Level artists did their very best include as much detail as possible when creating signboards, pathways, traffic lights, road dividers, lamps, and benches based on black and white pre-war photos. For example, to find the original images of old phone booths, artists had to use their wit. Germans who has served as soldiers during World War 2 often mentioned the inscription "Fasse dich kurz" (“Be brief”), which was written in every phone booth. This phrase helped the artists to find the original images in archives. 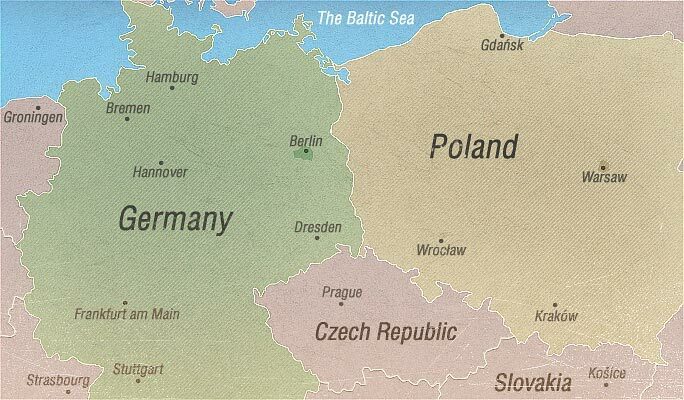 As the developers recall, the draft version of the map was called “Wienersdorf”, but it was released under a more euphonic name that derives from the German word Himmel (the sky). The town hall, old church, castle, and houses with saw-tooth roofs designed for Himmelsdorf can also be seen on other World of Tanks maps that were created later. We will continue to travel around World of Tanks maps and compare them to the world atlas in upcoming materials!